Jr4life24, who is 19 years old, lives in Milwaukee Wisconsin and presently attends MATC, Milwaukee Area Technical College, studying Criminal Justice. He made a decision to take a Civil Service route instead of a Military one. JR supports himself as a Manager of a fast food restaurant working second shift. Between School, work and the BWC, JR doesn’t find much time for himself but when he can he does what he calls Urban Exploration. Takes a drive, winds up in a Park at 4am, watches a sunset or explores some abandoned building somewhere. He has been gaming for approximately 15 years since he was about three years old, starting on the original PlayStation. He started to take gaming more serious when the PlayStation 2 came out, when he was about 7-8 years old at that time, with games such as SoCom Combined Assault and Syphon Filter. Nowadays, he doesn’t get too much time to game anymore maybe between 10-15 hours a week. Sometimes, if he’s lucky, he’ll get 20 hours in. Before BWC, he had previous outfit leadership experience with a PlanetSide2 NC account where he was essentially the lead of several platoons and was the only reason the outfit continued to play. Back in the day he’d lead 2-3 platoons with one other person, which is why Leadership comes to him naturally. JR’s call sign, Jr4life24, was derived way back when he was playing on PlayStation 2. Because he was such a little kid he called himself “Junior Sniper” for a while in one of the games and he just kind of kept it as JR and then stuck a few numbers in and decided he would keep it. It has stuck with him ever since. BWC was recommended to him by BWC member Sofo. He came to play Arma 3 and stayed for the environment and the people. People such as Xzeno to Plalanx to Ostagon and everyone in between. All great people and a great environment. The biggest game he plays outside of BWC is Overwatch. Although BWC does play Overwatch and he does play alongside them, JR plays competitively at a higher level and is in the top 3% with other friends outside of BWC. I asked him, "what’s one of the funniest things that’s happened to you in the BWC?" He says in Arma 3 there’s a continuous joke with him, that when he says one thing that same thing will immediately happen. There are clips of him saying “hey there aren’t any landmines around” and will then walk into a minefield and pop several mines. In Battlegrounds he'll make a statement of how great this vehicle is and won’t flip over and then two seconds later flips it. Says he has this bad habit where he thinks something is going right, but, knowing himself he messes it up. Jr4life24, also known as JR to his friends, joined Black Widow Company in June of 2015. Though some would say JR has only been here a short time, he hasn't wasted any of it just playing games. JR's Jacket will show you his total of 316 Live-fire Ops, 78 Trainings, 17 FTX's and Significant Lead in over 100 Ops. Those of which he led 96 Ops, 39 Trainings and 6 FTX's. All of this in just under two years with 12 people recruited into the BWC as well during this time. But, what his Jacket doesn't tell you is the dedication or passion this person has for Gaming and BWC. JR's present Billet is the Division Commanding Officer of Battle Division but has held several other billets before this one. He was appointed to his first Billet as PlanetSide 2 Recruiter, Rank of Staff Sergeant, in January of 2016. He held this position for several months until May of 2016. He was then appointed to his second Billet as NCOIC of PS2, Rank First Sergeant. Seven months later he was promoted to Captain OIC of PS2. He changed his Primary game from Vanguard (Arma 3) to PlanetSide 2, January 14th 2017 in order to take command as OIC of PS2. His present Primary Game shows as Black Widow Company but you'll most likely find him in Team Speak playing Arma 3, PS2 or Eve Online. You can also find JR on Steam, as his name is the same, Jr4life24, and he has over 100 games in his account. His current time in service rank is E-5 Sergeant. He received his BWC Leadership Ribbon on November 2nd 2016 and passed the NCO peer review board not two months ago on March 5th 2017, thereby obtaining NCO status. Which is something that not too many can do in such a short period of time in BWC. Here is Jr4life24's detailed Billet History, Promotions and some of his more prestigious awards. The billet has actually been really great. There's always something new to look forward to every day as with the wide variety of games that we cover and people we manage there's never really a dull moment. As for all the people under my command? It's not really an issue when you have the right people in the right spot doing the best work they do and I wouldn't have it any other way. Just knowing my stuff and putting everything I wanted to do into action. When I had started with Planetside 2, much of the old leadership was either getting burned out on the game or had moved onto other games in where it was left with me and one other person left to build Planetside 2 back up after it had been stood down into Vanguard. I had worked week by week and had built a team from the ground up into the game that it is today, still thriving and going strong. Why did you leave as PS2 OIC and step up to Division Leader? I knew Ostagon was able to handle it. I felt as a Division Leader I’d have more of a say with BWC. PS2 was still under my command and I could watch and maintain over it. The game was going nowhere without me in it. I’m not going to let that fail anytime soon. What do you see happening for Battle Division? Battle Division is the largest Division in BWC at this time. We have games such as PlanetSide2, Battlefield, MechWarrior Online and that game is still growing ever since HighPlains_Drifter took over. We just stood up Ghost Recon Wildlands. Which will include the Division, Rainbow Six Siege and a few other games like that. We just changed Overwatch into what’s called the Action Arena and that will be Battle Divisions casually supported games gameing area. What are the best and worst games in Battle Division? Objectively, PlanetSide 2 and MWO there really is no better game out of the two. Overwatch didn’t really take off the way we wanted to and was just recently stood down. Any games in the future you’d like to see in BWC? One of the games on my radar is Titan IM. I think it would be a great complement to Arma 3 maybe even replacing it in time if it has a good enough engine and runs properly. Elite Dangerous has been getting picked up slowly but surely by a few members. I really wish that one day we can do a really big Europa Universalis IV or Stellaris game play. Are there any charities you would like to see BWC get involved with? Childs Play or anything related to Cancer Research I think that both of those always need love and attention and effects families all around the world. Is there anything you would like to include or a message to the BWC? I was truly amazed at how young JR is. Before and during his interview I was under the impression I had researched and was speaking to someone much older. I was shocked at his interview when he told me he was 19 years old; I thought he was joking. JR presents himself as a very confident, strong spoken individual who is very passionate about BWC, it's members and gaming. He is seriously knowledgeable about the games he's involved in, always looking to improve his game play. He encourages others to improve theirs as well not just by words but by example. BWC Regimental, his past CO's and his peers could not have made a better decision by putting this young man in charge of Battle Division and I am proud to have been able to interview him and be under his command. Show support during Military Appreciation Month! Support Military Families with Project VALOR! 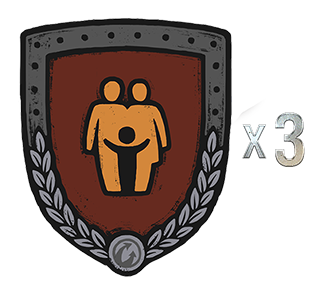 Wargaming has announced Project VALOR (Veteran & Loved Ones Responsibility), a four-part charity program that hits on what matters most: Family (May), Home (July), Remembrance (September), and Giving Thanks (November). May is Military Appreciation Month, where we recognize the heroic acts of our servicemen and women past and present. 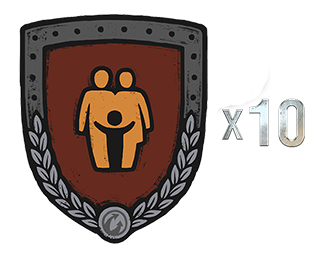 This includes an opportunity for players to support our military via special Project VALOR cosmetic items available for purchase in-game for World of Warships and World of Tanks, with 100% of the net proceeds being donated to the National Military Family Association (NMFA). The NMFA prides itself on being the voice of military families. For 48 years, they've stood behind service members and their loved ones. The NMFA is the go-to source for members of Congress, administration officials and key decision makers when they want to understand the issues facing military families. In coming months, Wargaming will continue to donate to additional charities through the sale of specific VALOR flags. Collect the four upcoming "VALOR" flags and emblems throughout the year to gain access to the exclusive fifth and final flag in each corresponding game. More details on upcoming VALOR events will be announced later on, so stay tuned! This Flag is cosmetic and provides no in-game bonuses.